It's a big claim, but Glaser Weil has a reputation for getting big things done. Based in Los Angeles, CA, Glaser Weil Fink Howard Avchen & Shapiro wanted an image that inspired start-ups and large global corporations to high-profile entertainers and they were willing to transformation all aspects of the brand. Moiré's brand strategists spoke with partners, associates, staff and clients, investigated the firm’s competitors and researched markets. 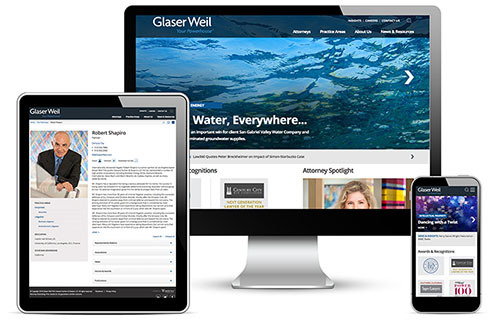 Glaser Weil’s reputation as a highly regarded litigation firm with renowned attorneys representing influential clientele, needed to be front and center in their brand. Through a close and collaborative process, we created a brand strategy that telegraphs the firm's core values of being dedicated, bold, and commited. Moiré created a logo, tagline, and stationery suite as well as a color palette that activated and created a strong connection to the Glaser Weil brand. Culminating the project with the launch of the firm's new responsive website. 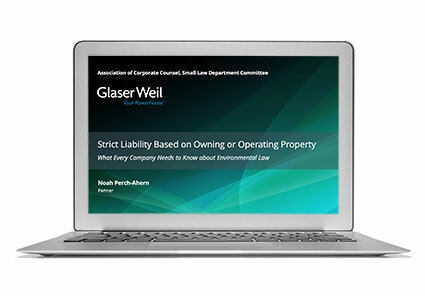 The new brand elevates the legacy of Glaser Weil and puts the firm on a course to fulfill its expanded mission.